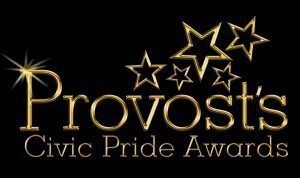 Clyde Porpoise is pleased, honoured and humbled to be shortlisted for the Provosts Civic Pride Awards 2018. As a ‘new’ group in North Ayrshire we are still finding our feet but are fully committed to the objectives of our project and focussed on achieving benefits for participants, the wider community and our precious coastal & marine environments. As a new project our activities are restricted by limited funding but have now acquired some track record and hoping that nomination for the Provosts Civic Pride Awards will provide additional traction to help realise our aims and objectives. Citizens around the Clyde coastline have contributed 580 marine mammal sightings reports. Over 300 people in this coastal network have recorded 1,700 individual cetacean around their shoreline. The survey boat has been to sea for 110 days on marine survey, including 78 days passive acoustic monitoring for cetaceans and recording underwater noise pollution. 3,500 volunteer hours have been contributed by over 200 participants who have sailed in excess of 8,000km during marine surveys and other activities. We continue to assist universities with field courses and supply data to undergraduate students. Three of our trainee skippers have accrued over 1,000 sea miles towards RYA/MCA Yachtmaster qualification. The project continues to support Scottish coastal communities in environmental and other campaigns. We collaborate in the INTEREG Compass EU MPA Bioacoustics Monitoring program and MEDIN (Marine Environmental Data & Information Network). Clyde Marine Planning Partnership Clyde Assessment Workshops etc.